28th September, 1286: After clearing a thick area of forest near the border of Bohemia, Peter Waltzell began to grow flax/linen for trading. 1547: In addition to trading flax, a factory for linen-production was built. Weaving took place on manual looms. Documents for the time period between 1547 and 1751 were destroyed by fire and war. 1751: Johann Georg Walzel took over the existing linen manufacturing. He employed 600 people, who worked the hand-looms and spun flax. 1825: A new era began with mechanical production. At the same time the firm began dying fibers. 1880: Maximilian Ritter Walzel von Wiesentreu expanded and modernized the mechanical weaving process. 1945: The firm expanded its operations to include a spinning mill 1,200 people worked there, utilizing 400 looms. During this period, export connections, specifically with firms in the USA, were further developed. 1948: After the Second World War, the owners of the factory, which was in the German-speaking section of Czechoslovakia, were expropriated and had to leave the country. Production there had to close down soon afterwards. The family fled to Carinthia and settled there. This was followed by the founding of the Friesacher Linen-weaving Co-operative (GmbH) in the town of Friesach. The company continued to be run by the family by Mr. Ing. Michael Mitterer-Kuhn. 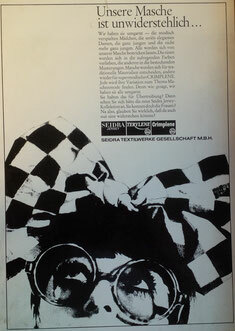 1951: In the Carinthian Valley of the Gail River, Silk-weaving Draschitz was founded, which later became SEIDRA. 1959: World-wide trading begins again. 1964: The business was enlarged to include twining and texturing. At the same time production of worsted fabrics was begun. 1968: At a new factory in Hermagor, knitting began. 1969: Construction began for spinning and dying, each at its own location. At that time, SEIDRA was producing in Draschitz, Nötsch & Hermagor, and was in the process of building at Kötschach-Mauthen. The company’s office and warehouses were situated in Vienna, as this made the export and transport process easier. 1970: A downturn in the business led to a decrease in transactions, eventually causing the bankruptcy and liquidation of SEIDRA at Draschitz. The Friesach factory continued operating. 1970: Dr. Helmut Isepp took over the firm, restructured it, and successfully built it back up. 1990: The weaving shed was re-built and nearly all of the looms were renewed at Draschitz. 2000: Knitting was transferred from Hermagor to the main plant at Draschitz. 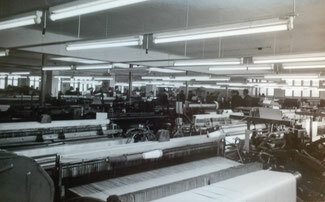 The company invested in new Jacquard knitting-machines. 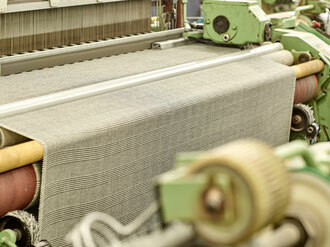 2006: Linen weaving at Friesach ceased and the process was integrated into SEIDRA’s main factory at Draschitz. 2012: The office and warehouses in Vienna were closed and added on-site at the parent plant. This was strategically a very important step. It enabled much quicker reactions to new marketing strategies and special developments. 2016: New investment into weaving machines and weaving preparation are planned.